A special Minecraft inspired couch gag opened the popular animation’s 547th episode, titled Luca$. Minecraft has become the latest brand to get The Simpsons couch gag treatment. 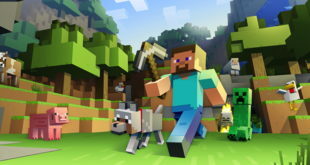 Following the broadcast of the Minecraft-Simpsons mash-up, Minecraft creator Markus Persson took to Twitter to express his disbelief of the growing cultural status of his creation. “The Simpsons did a Minecraft couch gag. I’m not sue how I feel about it,” he wrote.